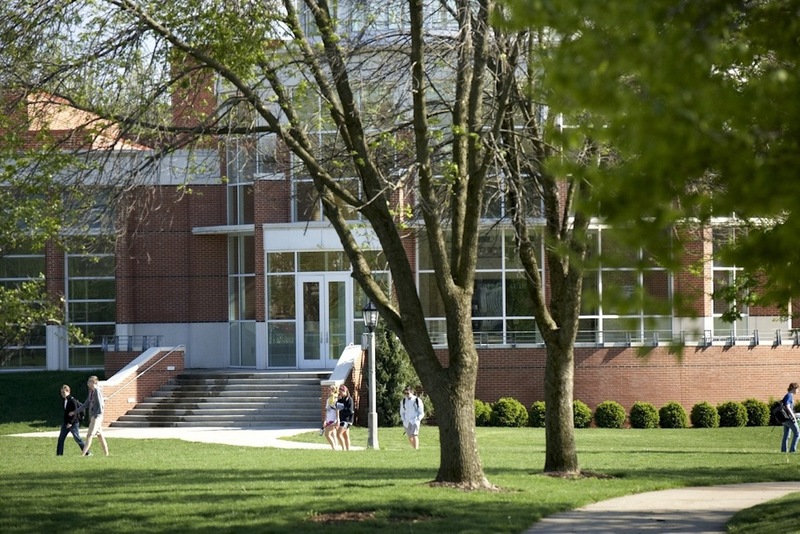 In the center of campus, Bowman Park is home to pick-up soccer, student concerts, outdoor study sessions or ultimate frisbee. It's also a great place to spend a relaxing Sunday afternoon on a beautiful spring day. Bowman Park, with the Green Center in the background. Milling about in Bowman Park.